Derek, originally from Honolulu, Hawaii, has called Glendale home for the last 20 years. 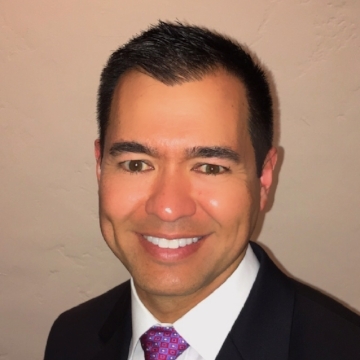 He has a bachelor’s degree in Telecommunications Management and professionally manages the IT Sourcing, Procurement and Vendor Management of Telecom Services for a corporation headquartered in Glendale. Derek became interested in preservation more than 15 years ago when a group of neighbors petitioned the city to establish a Historic District Overlay Zone Ordinance to allow for the creation of historic districts. At the time, Glendale had no historic districts and no procedures or guidelines to create them. Currently, Derek is leading the effort to establish a new South Cumberland Heights Historic District in Northwest Glendale. He and his partner Mark Taraborelli live in a 1933 Spanish Colonial Revival home in the Cumberland Heights neighborhood.